Found him! 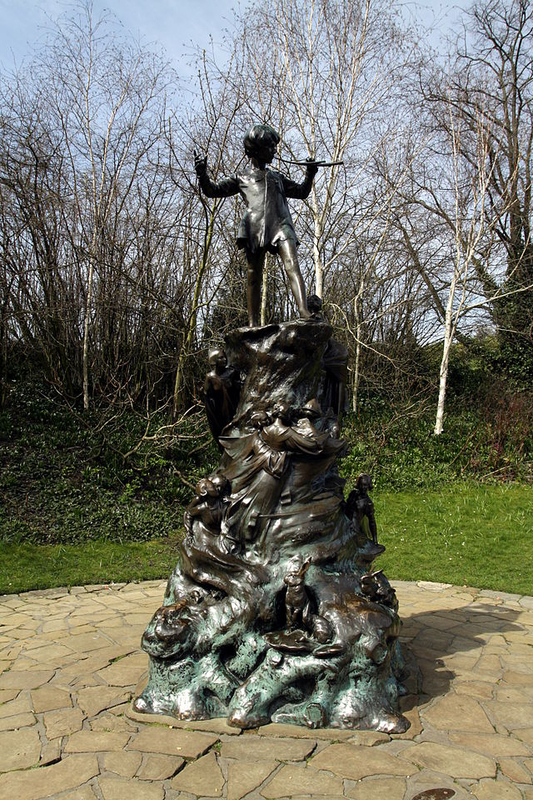 Statue of Peter Pan in Kensington Gardens, London. Song written by Kate Bush before her debut in 1978. When the album Lionheart was recorded, it was one of seven 'older' songs to be recorded. The song quotes the song 'When You Wish Upon A Star' from the classic Disney film Pinocchio. Kate performed 'In Search Of Peter Pan' as part of the live shows in the Tour of Life in 1979. 'In Search Of Peter Pan' was covered by Kat Devlin. Lionheart (Kate Bush album). Wikipedia, retrieved 27 September 2014.